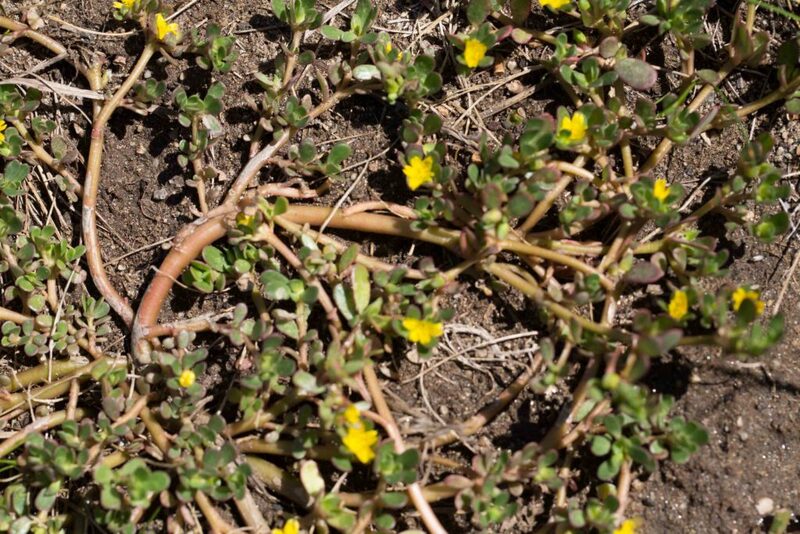 This has fleshy, oval to spoon-shaped leaves and long, prostrate, light reddish-brown stems. 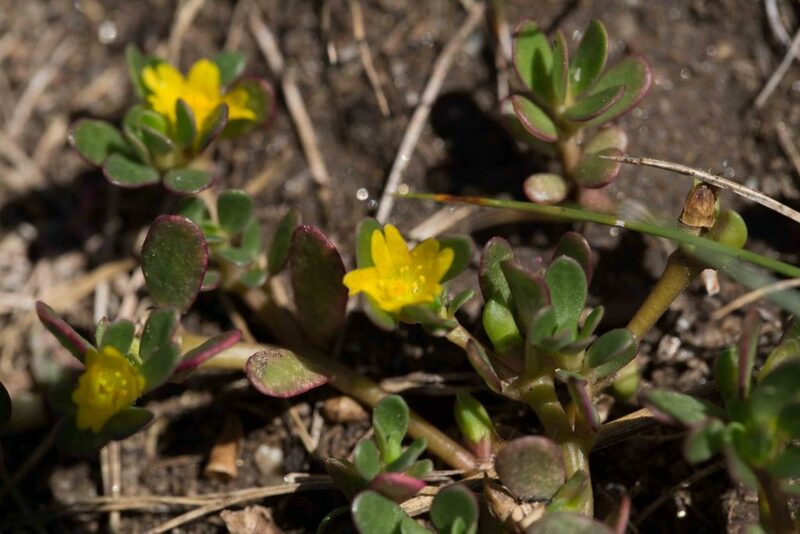 Small yellow flowers are borne in mid-summer, opening in the morning and closing up tight by late afternoon. 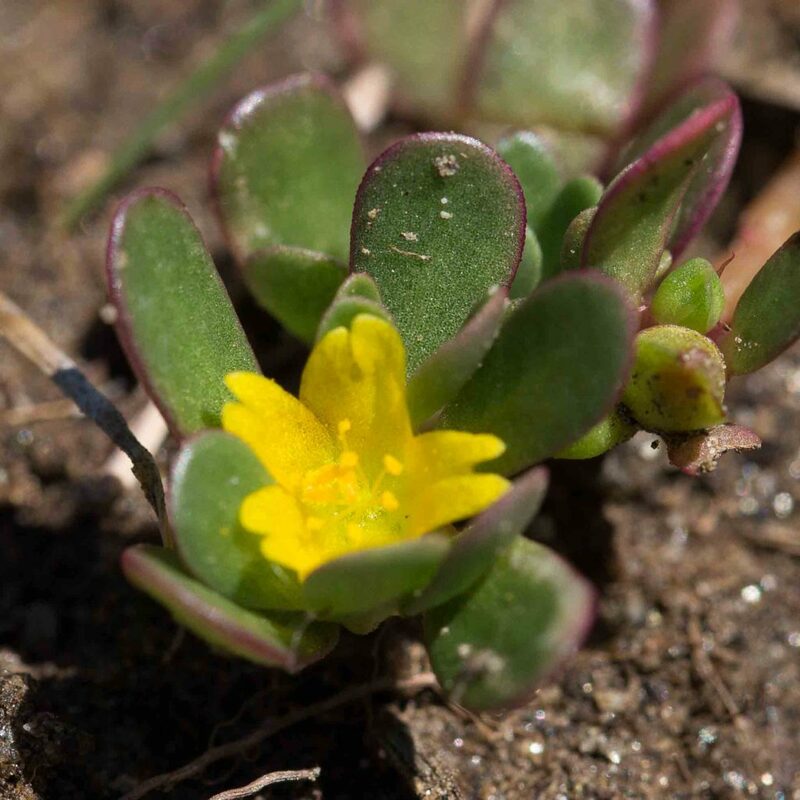 A common weed, but edible and highly nutritious. 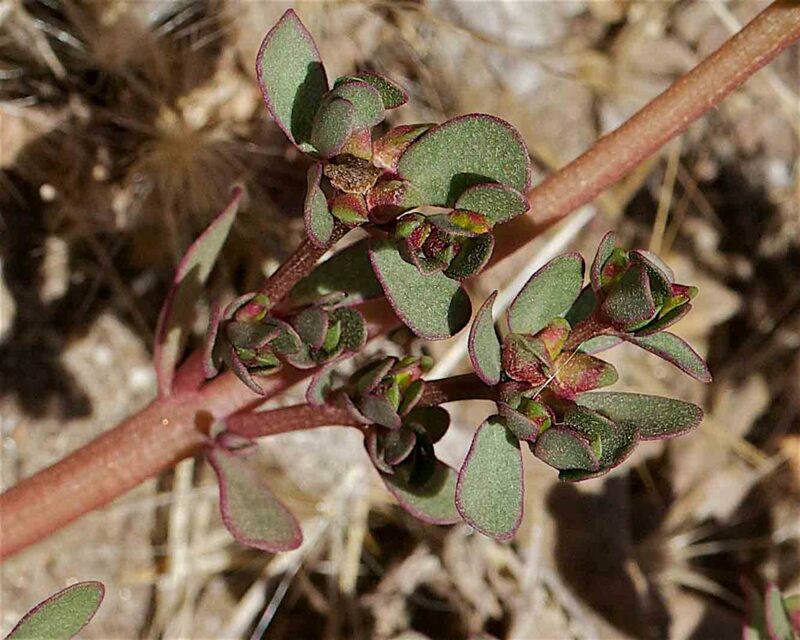 Without the flowers, this could be mistaken for Common Knotweed (Polygonum aviculare) but the lack of sheaths (ocrea) on the stems allows it to be distinguished with certainty.